So funny story, this one. This was meant to be the push-up pic that I posted previously from Melloque and I waited about four months for Temiree to get to me on the image. However, upon reaching me, he realized that he wasn't exactly comfortable with drawing tailmaws and had to turn down my commission. As bummed about this as we both were, he offered a free bust/portrait sketch of her as a gift to make up for the long months I waited. This was extremely nice of him and I appreciated the gesture. 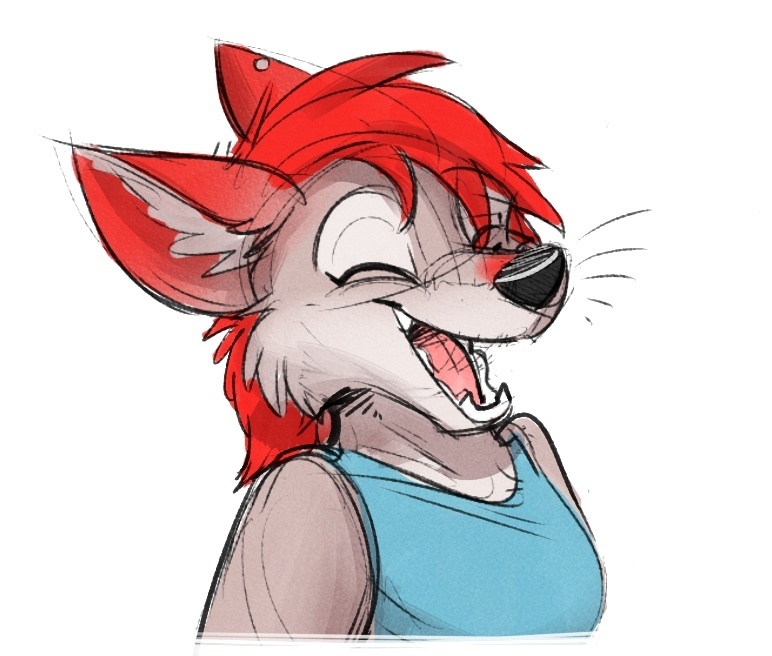 So although Ahya doesn't get a chance at the spotlight here, at least Taylor gets a cute smile drawn by the one and only, Temiree!